AUGUST 8, 2018 – A major agreement has been reached between the Indonesian government and a broad coalition of animal welfare organizations around the world that will immediately stop the dangerous trade in dog and cat meat. In a recent meeting on public health, Indonesian officials confirmed their support for a ban on the trade in dog meat. This agreement comes just days after representative members of the Dog Meat Free Indonesia (DMFI) coalition issued a public warning that millions of global tourists could be at risk of exposure to the deadly rabies virus spread by the county’s illegal dog and cat meat trade, and just two weeks before the country hosts the 18th Asian Games that will welcome some three million tourists in the city of Jakarta alone. Members of the DMFI coalition see the agreement as a major breakthrough in their efforts to end the brutal trade. The DMFI coalition, comprised of local and international groups including Animal Friends Jogja, Jakarta Animal Aid Network, Change For Animals Foundation, FOUR PAWS, and Humane Society International, has exposed the dangers of the dog and cat meat trade through investigations where dogs and cats were filmed being tortured and the rabies risk the trade poses to locals and tourists alike was highighted. The announcement of the agreement came at a “National Coordination of Animal Welfare” meeting in Jakarta held on August 1st and 2nd by the Directorate of Veterinary Public Health and attended by national and regional government representatives. At the close of the meeting, all national participants agreed to issue a ban on the trade of dog and cat meat in Indonesia and to prohibit the issuance of health certification for dog and cat meat for human consumption. In January, the DMFI also submitted a letter to President Joko Widodo calling for urgent action and signed by over 90 national and international celebrities including Cameron Diaz, Chelsea Islan, Dr. Jane Goodall, Sophia Latjuba, Simon Cowell and Ellen DeGeneres. DMFI’s global petition has also been signed by over 930,000 people from around the world. “This is such a victory for Indonesia and the Indonesian government has given us hope and motivation to collaborate with the government. 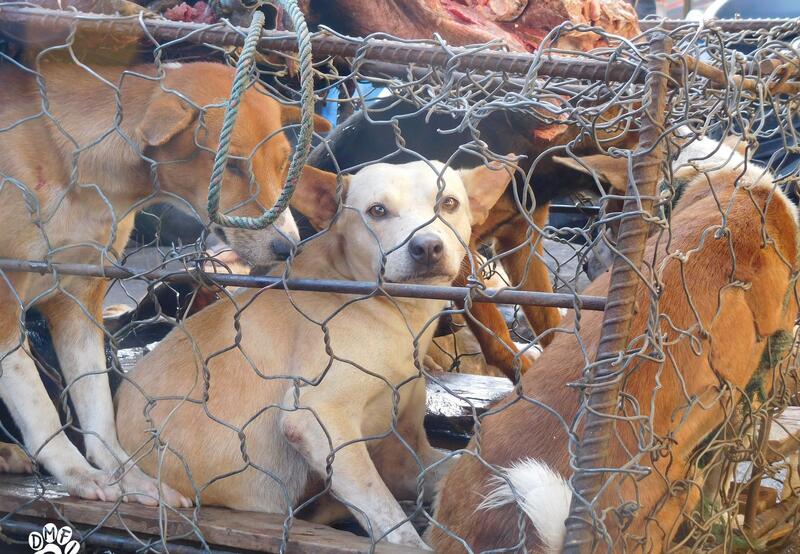 We are one step closer to a dog and cat meat-free Indonesia."